WHAT DOES CASHLOAN.ORG DO WITH YOUR PERSONAL INFORMATION? Lenders choose how they share your personal information. Federal law gives consumers the right to limit some but not all sharing. Federal law also requires Lenders to tell you how they collect, share, and protect your personal information. We are not a Lender or agent. We provide marketing services but we do follow privacy practices generally required of Lenders. Please read this notice carefully to understand what we do. Banking account information, ABA/Routing numbers, and employment information. IP address, browsing and log data, your desired loan amount and any other information that may be required in a loan application. How does CashLoan.org protect my personal information? To protect your personal information from unauthorized access and use, we use security measures that comply with federal law. These measures include computer safeguards and secured files and buildings. Unless specifically designated on our website, we do not use encryption. How does CashLoan.org collect my personal information? We also collect your personal information from others, such as credit bureaus, affiliates, lenders, lead generators, or other companies. Residents of Georgia, New York, Massachusetts, Virginia, & West Virginia are not eligible to use this web site's payday loan and cash advance referral service. 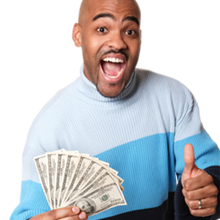 This web site's payday loan and cash advance referral service is not available in all states, and the states serviced by this web site may change from time to time and without notice. Please note that we review our privacy practices from time to time, and that our practices are subject to change. We ask that you review this page each time you interact with this website to ensure your continuing familiarity with our current privacy practices. All amended terms will be automatically effective after they are posted on the website. Your continued use of the website after such changes have been posted constitutes your agreement to the changes. In order to provide services free of charge, we may display advertisements. By accessing or using this website, you expressly agree to receive these advertisements. The advertiser never has access to individual account information that you provide to us through the application process to connect you with a lender. However, these advertisers may use their own tracking technologies, including cookies, to collect information about you and other users of this website who view or interact with their advertisements. California residents may request that your personally identifiable information not be shared with third parties by sending your request including your full name, email address and postal address through our Contact Us Form on our Site. California residents are also entitled to know that they may file grievances and complaints with California Department of Consumer Affairs, 400 R Street, Suite 1080, Sacramento, CA 95814; or by phone at 916-445-1254 or 800-952-5210; or by email to [email protected].